My grandfather was the head gardener at the Stanmer Estate from about the 1920’s up to the war. My father grew up there and vividly recalls bowing to the upper class on his way to school. My grandfather’s children were permitted to walk across the lawns to school as they were the gardener’s. However, all other school children had to walk a very circuitous route to school so they didn’t bother the Pelham’s. 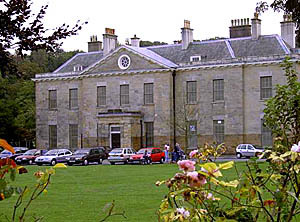 The house they lived in is still behind the main estate. I visited just a few years ago. We were brought up in Canada and much of the history of our family has been lost as a result. My great grandmother was Nurse Reed, the childrens Nanny, and Lady Elizabeth was my grandmother’s godmother. I realize upon reflection this many years later I didn’t include the names of my father or others. My father was Robin Mason (known as Bob in Canada but I think he went by Robin in UK), he would have been a child during the 20s and 30s. Then he left home at 15 years to join the Airforce. My grandfather was Albert Mason, the estate gardener and my grandma, Catherine Mason (unfortunately I do not know her maiden name – will have to do a little research). Do you remember the 1950s?